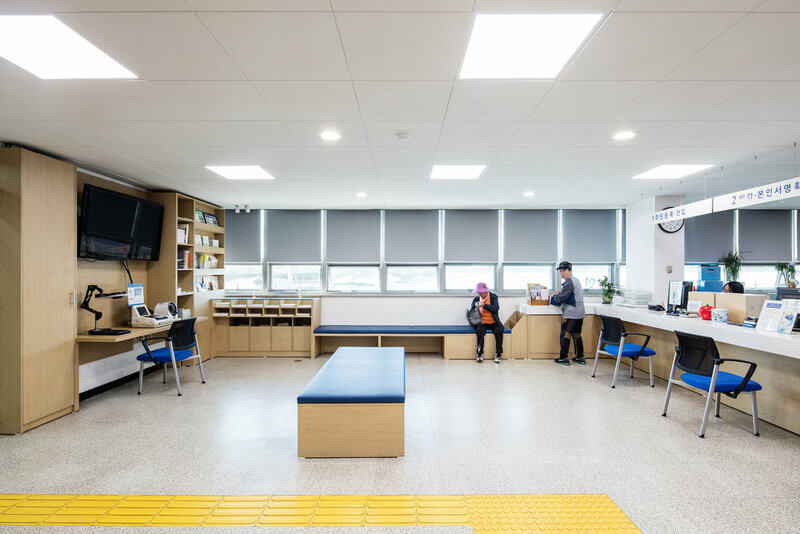 Public service area, which is located at the first floor of Seobinggo-dong community service center, had functional and ample interior space to accommodate for programs arranged before the "Reaching Out Community Service Center." 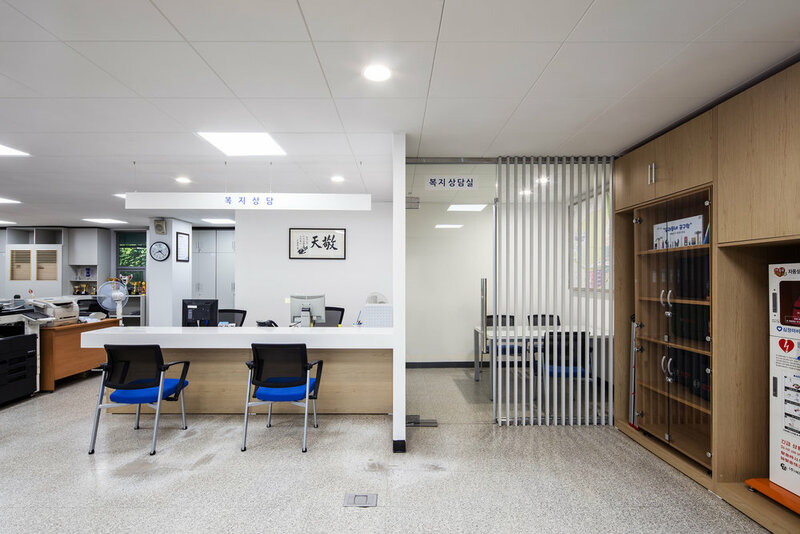 However, along with the "Reaching Out Community Service Center," the interface between residents and staffs had to be reinterpreted; which has been solved by new floor layout and the rearrangement of furniture. First of all, the row of public service stations was reoriented to welcome the residents. This resulted in the new main axis of the floor layout. Also, a new welfare team of six staffs was introduced to provide more personal counseling. 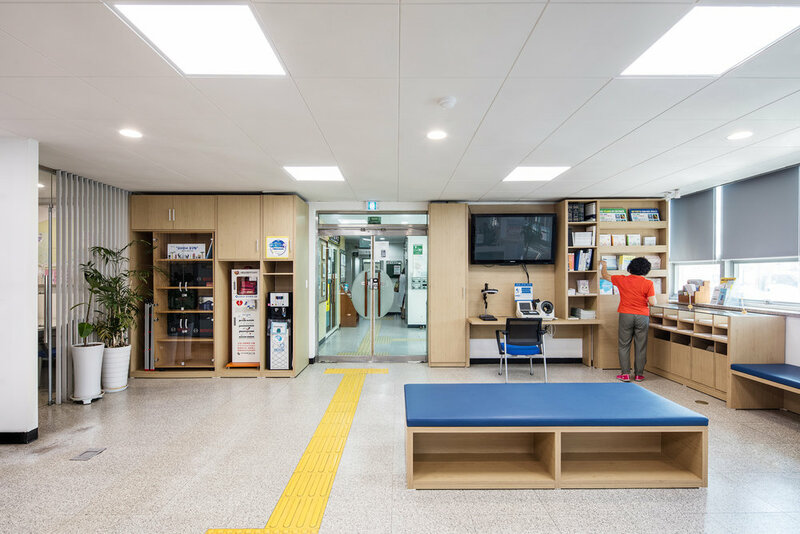 Entering the public service area, the spatial sequence starts from resident's waiting area to staff's work area to staff's lounge area. Each zone is surrounded by existing cabinets and built-In furniture, and is characterized by different color and material. 18 dispersed full-height cabinets surround the work area to determine its zone, and newly built-in furniture which is customized to the resident's needs embraces the waiting area. Providing enough storage units expects to clean up the space and lessens the frequency of maintenance. 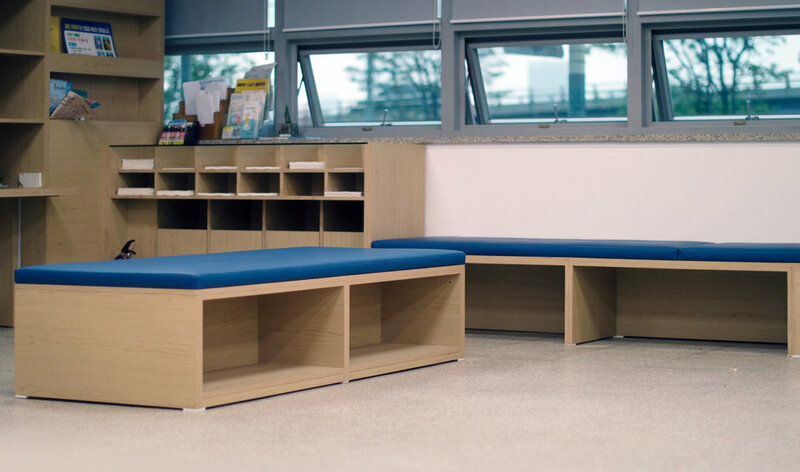 This renovated space will function as a successful spatial interface for both residents and staffs.